We Don’t Negotiate With Terrorists – But Should We? This study analyzes the efficacy of the no-concessions policy used against terrorist groups during hostage crises and related incidents. Specifically, I address whether conceding to a terrorist organization’s ransom demand influences the frequency of future attacks committed by the group. Existing research evaluates the effect of a ransom payment by measuring changes in the rate of subsequent kidnappings, but does not consider potential changes in the rates of complementary terrorist strategies such as bombings and assassinations. I use the Global Terrorism Database to conduct my study, which reveals that terrorist groups with failed ransoms are less likely than groups with successful ransoms to commit at least one attack the following year. However, further analysis reveals that if a group is motivated by publicity rather than money, paying a ransom may serve as an effective deterrent strategy. In addition, my findings show that strong groups are more likely than weak groups to coerce their target states into paying ransoms, but that ransom payments have little to no effect on their use of attack strategies other than kidnappings. In the 1970’s, mainstream counterterrorism policy regarding hostage situations began to evolve from a focus on “the safe release of hostages at all costs” to a policy in favor of rejecting negotiations and concessions with terrorists at the expense of human lives (Jenkins et al. 1977). Following Al Qaeda’s infamous attacks targeting the United States on September 11, 2001, many Western nations firmly committed to this policy shift. Political leaders in the United States and the United Kingdom have since adhered to a “no-concessions” strategy, doing so under the assumption that negotiating with terrorist organizations legitimizes terrorism as a viable insurgent tactic and that conceding to ransoms produces the funds needed by terrorists to carry out future terrorist attacks (UNSC Resolution 2253, Cohen 2012). With few notable exceptions, the United States and the United Kingdom have effectively maintained their no-concessions policies over the past decade (Brandt et al. 2016). However, the number of annual terrorist attacks has increased while the annual percentage of ransom payments has decreased, challenging the idea that ransom money serves as a primary source of income for terrorist groups. Quantitative data from the Global Terrorism Database support this trend, demonstrating a particularly dramatic spike in the number of hostage-taking incidents during the past five years, despite an increased commitment to no-concessions policies (Figure 1, Figure 2, Figure 3). Furthermore, research contends that there is no evidence terrorists choose hostages based on a given government’s ransom policy, nor is there evidence that citizens of countries that are widely known to pay ransoms are targeted any more frequently than citizens of countries that do not (Jenkins et al. 1977, Dolnik 2015, Jenkins 2018). In 2015, the Obama Administration reevaluated the no-concessions policy and began to retreat from the country’s hardline attitude towards paying ransoms. The United States has since opened communication channels with terrorists during hostage crises and has given families the ability to pay ransoms themselves. In effect, the United States undermined the no-concessions strategy and raised significant debate over the efficacy of the policy as well as the logic behind it. Proponents believe that refusing concessions hinders a terrorist organization’s ability to launch further attacks and kidnappings (Cohen 2012, Brandt et al. 2016). Opponents argue that ransom funds may be inconsequential to an organization’s ability to launch attacks and that refusing concessions may actually encourage terrorists to undertake other, more dangerous strategies with greater intensity (Bass et al. 1981, Goerzig 2010, Phillips and Pohl 2013). In addition, opponents ask whether it may be more effective to settle ransom demands quickly and quietly rather than letting them escalate publicly. It is suspected that terrorist groups may take hostages not to make money, but as a tool of political intimidation (Crenshaw 1998). Existing attempts to resolve this disagreement have fallen short. Most studies on the topic are qualitative rather than quantitative, providing insight into individual events without contributing broader generalizations needed for assessing the policy. The few quantitative studies that have been conducted analyze the no-concessions policy by measuring for changes in the rate of terrorist kidnappings following a concession from the target state (Jenkins et al. 1977, Brandt et al. 2016). This approach overlooks potential changes in the rate of other terrorist strategies, such as bombings and assassinations, and does not consider confounding factors such as civil war (Thomas 2014, Brandt et al. 2016). In addition, research has yet to address how successful ransoms may influence strong and weak terrorist groups differently, despite evidence suggesting the overall strength of a group may determine how important ransom funds are to their budget (Callimachi 2014, Hall 2015). The same studies discount the utility of publicity. When a human life is at stake, failed or prolonged negotiations generate national attention and domestic unrest, which can award terrorist groups legitimacy and the leverage of fear (Crenshaw 1998). This may be more valuable to groups than money because it pushes their voice to the public agenda. In response to this debate and the abundance of outstanding questions on the topic, I reassess the viability of a no-concessions policy. To do so, I study the statistical effect that a ransom payment has on the full range of terrorist activity. Given that the recurrence of kidnappings cannot be attributed solely to the success of prior ransom demands, the recurrence of kidnappings cannot serve as the only measure of ransom payment effect. To that point, it is important to explore changes in the frequency of other terrorist strategies following a ransom payment. My first hypothesis poses that if ransom money constitutes a significant portion of a group’s attack budget, refusing a ransom payment ought to decrease the full range of violent activity committed by the perpetrating organization thereafter. However, my results may be driven by the natural tendencies of different types of groups, rather than the effects of a ransom payment. My second hypothesis contends that groups motivated by publicity are less inclined to secure a ransom payment, and that they may be less likely to attack again if they do get paid. Instead of generating a profit, I suspect some groups may use ransoms to generate public attention. In such cases, the group would be incentivized to draw out negotiations and capitalize on media coverage at the expense of successful deal. Failed ransoms attract worldwide publicity and often provoke a government crisis, which inflates domestic pressure and may ultimately be more beneficial to terrorists than money (Jenkins 2018). Therefore, paying their ransom and settling the matter quickly may deny the group what they truly need: a public platform. It has also been suggested that rejecting a strong group’s ransom demands is more dangerous than rejecting a weak group’s ransom demands because a strong group is capable of retaliation if not satisfied. However, studies indicate that ransom funds may constitute a larger percentage of the average annual income for a weak group than a strong group, given that a strong group like ISIS is funded primarily through oil sales, antique looting, donations, and internal extortion and taxation (Johnston 2014, Hall 2015). In context, ransom payments constitute approximately one percent of their average annual income (Callimachi 2014, Hall 2015). To that point, my third hypothesis poses that it may actually be more dangerous to satisfy a weak group’s ransom demand because the money is likely to inflate their attack budget, whereas the same ransom payment may be inconsequential to a stronger group’s capacity for violence. To conduct my study, I use the Global Terrorism Database (GTD). This database compiles open-source information, including 170,351 terrorist events around the world from 1970 through 2016. The GTD Codebook defines a terrorist attack as “The threatened or actual use of illegal force and violence by a non-state actor to attain a political, economic, religious, or social goal through fear, coercion, or intimidation.” Although the GTD is one of the most comprehensive sources of public data pertaining to terrorist incidents, it has a number of weaknesses, namely that it experienced three major changes in collection methodology over a two decade period. These changes occurred in 1998, in 2008, and in 2011. To guard against these data issues driving the findings, I assign every specification fixed effects for collection period. I also remove all entries where the name of the terrorist group responsible for launching an attack is unknown (Table 1). This is important because I study terrorist groups over time, and I can only track the way groups respond to ransom payments if I can identify which group issued each ransom demand. In addition, I remove events that do not strictly qualify as terrorism (Table 1). Many incidents have definitional overlap with insurgency, guerilla warfare, hate crime, and organized crime. Some incidents also lack clear signals of intentionality or involve state actors, which contradicts the definition of terrorism used by the GTD. Furthermore, I create a control sample excluding target countries engaged in civil war (Table 1). To identify these cases, I reference Fearon and Laitin (2003). This is important to my study because during civil conflict, rebels can mutiny using insurgency alone or insurgency coupled with terrorism. Terrorism differs from insurgency because terrorists target civilian noncombatants, whereas insurgents target government forces. However, as governments must ultimately be the main targets of violence in a civil war, domestic terrorism cannot be used independent of insurgency. Therefore, studies that do not discount instances of civil war terrorism in their sample may positively skew the correlation between ransom success and attack rate. Rebel groups using high rates of insurgency may also launch more frequent terrorist attacks, in which case, it is possible that insurgency may be the true motivating force behind the acquisition of concessions during civil conflict, as opposed to the coinciding terrorist attacks. The unit of analysis in my study is terrorist group-country-years, which I will subsequently refer to simply as group-years. A single terrorist group can attack multiple countries in the same year, and disaggregating by country enables me to control for different country characteristics, even if those countries are being attacked by the same group in the same year. The treatment variable in my first hypothesis is a ransom payment and the dependent variable is terrorist activity thereafter. While controlling for civil war incidence and other confounding factors, I measure the dependent variable in two ways: (1) determining whether a terrorist group committed at least one attack in the year following a successful ransom payment, with distinction between kidnappings and other violent attacks; and (2) determining whether the annual frequency of attacks increases between the year prior to a ransom payment and the year following the ransom payment. I use Stata to generate binary variables for both considerations. For my second hypothesis, I create another binary variable to identify which organizations are motivated by publicity, based on whether or not a terrorist group claimed responsibility for the attack. The GTD registers several claiming methods, including letters, phone calls, notes left at scene, and videos. I argue that claiming an attack signals a group is seeking public recognition for their crime, or that they may be trying to establish a brand for themselves. Alternatively, if a group doesn’t claim their ransom, it is likely that they are motivated chiefly by the desire for money. For my third hypothesis, which pertains to group strength, I use the Big, Allied and Dangerous (BAAD) dataset, which contains qualitative information on terrorist organizations between 1998 and 2014. I also identify whether a terrorist group is classified as a “Foreign Terrorist Organization” by the United States Secretary of State. Using these data, I classify a strong group as one that controls territory, is not an ethnic minority, receives outside financial support, and is a designated Foreign Terrorist Organization. Conversely, a weak group does not control territory, is an ethnic minority, does not receive outside financial support, and is not a designated Foreign Terrorist Organization. Including civil war observations, about 65.1% of group-years with at least one paid ransom committed at least one more attack the following year, as compared to 63.7% of group-years excluding civil wars. Alternatively, 48.8% of group-years including civil wars with no paid ransoms committed at least one attack the following year, as compared to 47.3% of group-years excluding civil wars (Figure 4). To further analyze the relationship between ransom money and terrorist activity, I regress ransom success on next year attack incidence, which yields a statistically significant positive correlation in support of my first hypothesis (Table 2). This finding holds when I disaggregate the dependent variable to exclude hostage crises, leading me to confirm that terrorist groups with at least one successful ransom in any given year are more likely than groups with only failed ransoms to commit another attack the following year. However, the strength of the correlation coefficient decreases when I disaggregate the dependent variable. To understand this decrease, I look at the change in attack rate for each attack strategy independently. Between 1970 and 2016, unpaid group-years commit fewer kidnappings and hijackings than paid group-years following a ransom, but their use of other strategies stays relatively constant, suggesting that future terrorist violence is not dependent on ransom payments (Table 3). To that point, the no-concessions policy appears to be an effective deterrent for future hostage-takings, but relatively ineffective at deterring the broader scope of terrorist activity. To evaluate my second hypothesis, I run a regression including three indicator variables: (1) ransom claim and ransom success; (2) ransom claim and next year attack; and (3) ransom claim and attack rate change. The omitted basis category to which each of these three are compared is unclaimed and unpaid ransoms. My results show that group-years with claimed paid ransoms are marginally less likely than both group-years with claimed unpaid ransoms and unclaimed paid ransoms to commit another attack the following year (Table 5). Therefore, if a terrorist group claims their ransom, countries ought to consider settling negotiations quickly and quietly rather than allowing the group to intensify public attention. For my third hypothesis, the data suggest that strong groups are more likely to secure a ransom payment than weak groups. Ethnic minority terrorist groups are particularly unlikely to secure a ransom from their target state. In addition, data show that paying a ransom to a strong group-year is not systematically correlated with next year attack incidence (Table 6). Strong groups, notably those designated as Foreign Terrorist Organizations, are significantly more likely than weak groups to attack again regardless of whether or not they receive a ransom payment. Overall, my study reveals that the no-concessions policy is generally effective. Group-years with failed ransoms are statistically less likely to attack again the year following their ransom demand, as compared to group-years with successful ransoms. When I disaggregate kidnappings from other attack strategies in my dependent variable, this correlation holds. However, the correlation is not as strong, signifying that the no-concessions policy is less effective at deterring the broader scope of terrorist activity than it is at deterring future kidnappings. Additional analysis suggests that my findings may be driven by the natural tendencies of different types of group-years. Group-years that are motivated by publicity rather than money have a higher likelihood of attacking again the following year if their ransom isn’t paid, while strong groups are largely unaffected by a ransom payment. To that point, I argue the no-concessions policy may not be the best response to every ransom. When a weak group is seeking money rather than publicity, it may be best to refuse a ransom. However, if a strong group is seeking publicity over money, it may be better to pay. Nevertheless, if these distinctions are unavailable to a target country at the time of a ransom demand, data show it is generally better to uphold the no-concessions policy. Bass, Gail, Brian M. Jenkins, Konrad Kellen, and David Ronfeldt. “Options for US Policy on Terrorism.” RAND (1981): 1-13. 2005. Brandt, Patrick T., et al. “Why Concessions Should Not Be Made to Terrorist Kidnappers.” European Journal of Political Economy, vol. 44, 2016, pp. 41–52. Callimachi, Rukmini. “Paying Ransoms, Europe Bankrolls Qaeda Terror.” The New York Times, The New York Times, 29 July 2014. Cohen, David. “Remarks of Under Secretary David Cohen at Chatham House on “Kidnapping for Ransom: The Growing Terrorist Financing Challenge”” US Department of the Treasury. US Government, 5 Oct. 2012. Crenshaw, Martha, and Walter Reich, and. “The Logic of Terrorism: Terrorist Behavior as a Product of Choice.” Origins of Terrorism: Psychologies, Ideologies, Theologies, States of Mind, Woodrow Wilson Center Press, 1998, pp. 7–24. Dolnik, Adam. “Four Myths About Ransoms.” Foreign Affairs, 1 Apr. 2015. Fearon, James D., and David D. Laitin. “Ethnicity, Insurgency, and Civil War.” American Political Science Review, vol. 97, no. 01, 2003, pp. 75–90. Global Terrorism Database, National Consortium for the Study of Terrorism and Responses to Terrorism, 2017. Hall, John. “New Study of ISIS Income Suggests $2billion a Year Estimate Is Too low,” Daily Mail, 20 March 2015. Jenkins, Brian Michael. “Does the U.S. No-Concessions Policy Deter Kidnappings?” RAND, 8 Jan. 2018. Statistical Observations from 77 International Hostage Episodes.” RAND, July 1977. Johnston, Patrick B. “Countering ISIL’s Financing.” RAND, 13 Nov. 2014. Jones, Jeffery. “Americans Divided on Wisdom of U.S. Prisoner Negotiations.” Gallup, 2014. Karl, R., et al. “Replication Data for: ‘Crime, Conflict and the Legitimacy Tradeoff: Explaining Variation in Insurgents’ Participation in Crime.’” Harvard Dataverse, 12 Jan. 2018. Kydd, Andrew, and Barbara F. Walter. “Sabotaging the Peace: The Politics of Extremist Violence.” International Organization, vol. 56, no. 2, 2002, pp. 263–296. Maddison Project Database, Rijksuniversiteit Groningen, Groningen Growth and Development Centre, 2018. Obama Administration. “Presidential Policy Directive—Hostage Recovery Activities,” The White House, June 24, 2015. Pape, Robert A. 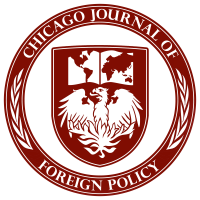 “The Strategic Logic of Suicide Terrorism.” American Political Science Review, vol. 97, no. 03, 2003, pp. 343–361. Penn World Table 7.0, Rijksuniversiteit Groningen, Groningen Growth and Development Centre, June 2011. Phillips, Peter J., and Gabriela Pohl. “Does Negotiating with Terrorists Make Them More Risk Seeking?” Journal of Politics and Law, vol. 6, no. 4, 29 Nov. 2013, pp. 108–120. Polity IV Project: Country Reports 2010. Center for Systemic Peace, 2008. Thomas, Jakana L. “Rewarding Bad Behavior: How Governments Respond to Terrorism in Civil War.” American Journal of Political Science, vol. 58, no. 4, Oct. 2014, pp. 804–818. United Nations. “Unanimously Adopting Resolution 2253.” United Nations, Security Council, Dec., 2015. All my regressions are generated in Stata using an Ordinary Least Squares model. Every specification clusters standard errors by group-year, which accounts for repeated group-year observations that are not independent of each other.